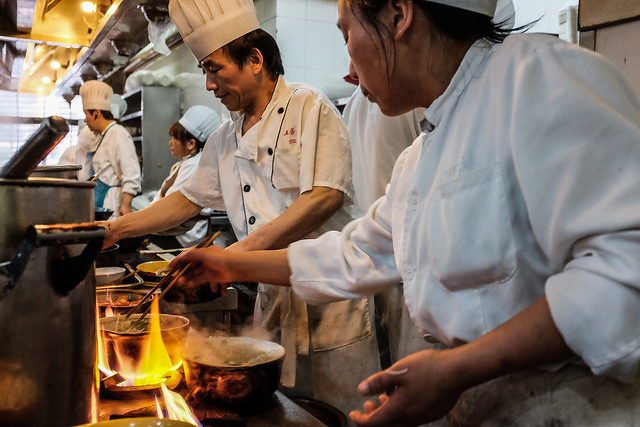 Due to high turnover rates in the food service industry and the struggle to keep costs down to increase profitability, it is unlikely that the food service industry’s hiring practices will change. On the other hand, large scale operations such as this one might make restaurant owners think twice about employing undocumented workers. In 2015, Farrukh Baig, the owner of fourteen 7-Eleven stores, pleaded guilty to concealing and harboring illegal aliens. An internal investigation revealed that Baig and his co-conspirators hired at least one hundred undocumented immigrants who worked in their stores. Baig engaged in identity theft to conceal the workers’ true identities. In a scheme that lasted over 13 years, Baig and his co-conspirators, stole the wages of the undocumented immigrants working for them, paid them below the minimum wage, and agreed to house them in homes that were in close proximity to the 7-Eleven stores where they worked, in exchange for a deduction of rent from their paychecks. According to the federal government, in the course of two years, Baig and his co-conspirators had stolen $1.25 million from the undocumented workers they had hired. ICE has taken the position that they will prosecute employers hiring undocumented immigrants, and detain and deport the undocumented immigrants working for them. In high profile cases such as the Baig case, undocumented workers who cooperate with federal prosecutors are eligible for U visas, which allow witnesses and/or victims of crimes to remain in the United States lawfully provided they assist law enforcement in their investigations or prosecutions of these crimes. One thing remains clear: worksite raids will be commonplace during the Trump administration.